Time vs. State in Insurance: Experimental Evidence from Contract Farming in Kenya. Farming is risky: a drought, bad harvest, or dip in crop prices can leave small farmers in developing countries without a steady income throughout the year. Attempts to mitigate these risks with agricultural insurance have typically been unsuccessful because farmers have chosen not to buy insurance. 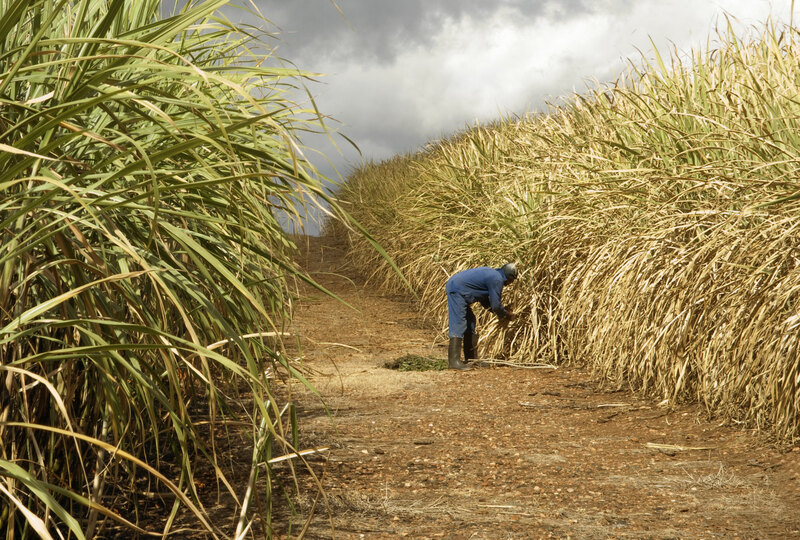 Researchers partnered with a large sugar cane company to see if delaying the premium payment until after the harvest would increase farmers’ demand for insurance. Researchers found that farmers were much more likely to purchase insurance when the payments were delayed until after the harvest. Farming is risky: a drought, bad harvest, or dip in crop prices can leave small farmers in developing countries without a steady income throughout the year. Attempts to mitigate these risks with agricultural insurance have typically been unsuccessful because farmers have chosen not to buy insurance. In part, this low demand may be due to payment timing; most insurers offer insurance (and require premium payments) at planting time, when farmers are typically cash-constrained due to purchases of seeds and other materials. Another reason farmers may not purchase insurance is “present bias:” farmers might care more about the cost of insurance today than about the income they might lose due to a future crop failure. Finally, farmers may not purchase insurance because they are not convinced the insurer will actually pay them if their crops fail. Why are farmers reluctant to purchase insurance? Can delaying the premium payment until harvest time increase farmers’ demand for agricultural insurance? In Kenya, about 80 percent of the working population works in agriculture, and small-scale farmers account for the vast majority of agricultural production.1 Sugarcane is the main cash crop in Kenya’s western region, where this evaluation took place. Sugarcane farmers are typically poor, but not the poorest farmers in the region; for example, 80 percent of farmers in this evaluation own at least one cow. Their crops are subject to significant risks form rainfall, climate, pests, and fire. Very few farmers in the region have experience with formal insurance. Researchers partnered with a Kenyan sugar company, which employs about 80,000 small-scale sugarcane farmers using a contract farming model. In contract farming, a farmer signs an agreement to sell his crops to the company at harvest time for a nationally-regulated price. At the start of planting season, companies typically offer farmers inputs such as seeds and fertilizer on credit, repayable in the future as a deduction from harvest revenue. This payment schedule can also be used for insurance: the company can offer insurance at planting time, with the premium payment deducted from harvest revenue. Standard Offer: Farmers were offered insurance at the market rate and had to pay the premium at planting time. Discounted Standard Offer: Farmers were offered insurance with a 30 percent discount at planting time. Harvest Deduction Offer: Farmers were offered insurance at the market rate, but the premium cost was deducted from their revenues at harvest time. The sugar company offered identical insurance products across all three groups. If an insured farmers’ plot and neighboring farmers’ plots produced substantially less than a historical benchmark, the sugar company would distribute a payout covering up to 20 percent of the farmer’s predicted revenues. The researchers complemented these offers with two other treatments to understand why delaying premium payments might increase demand for insurance. In the first sub-treatment, researchers gave 120 randomly selected farmers an amount of cash that was slightly more than the insurance premium cost, ensuring that these farmers could purchase insurance if they wanted to. Researchers offered another 120 randomly selected farmers the choice between a cash grant equal to the insurance premium or free insurance. To test whether farmers suffer from present bias, a randomly-assigned half of these farmers were told that they would receive their choice immediately, while the other half were told that they would receive their choice in one month. If farmers did suffer from present bias, then delaying the choice could help overcome their tendencies to care more about income in the present than potential losses in the future. Overall, researchers found that farmers were much more likely to purchase insurance when they did not have to make payments until after the harvest. They also found that demand for the standard insurance offer was likely low for three reasons: farmers may have limited cash to purchase insurance before the harvest; they may suffer from present bias; and they may not trust insurance companies to follow through on their payments if a crop failure occurs. While only 5 percent of farmers who were offered standard insurance decided to purchase it, 72 percent of those offered the harvest deduction insurance purchased it. Offering a discount on standard insurance did not increase farmers’ demand for it. Giving farmers cash grants did not affect purchase rates for either standard insurance or harvest deduction insurance. When the payment was delayed by a month, farmers were more likely to choose insurance over cash, suggesting they suffered from both limited cash availability and present bias. Taken together, these results suggest that farmers were more willing to purchase insurance when they could pay the premium after the harvest. There are two likely reasons that timing affects this decision: farmers have limited cash before the harvest and they are more likely to care about the costs of the premium today than about the potential costs from a crop failure in the future. Casaburi, Lorenzo and Jack Willis. 2018. "Time vs. State in Insurance: Experimental Evidence from Contract Farming in Kenya." American Economic Review, 108 (12): 3778-3813.